So now that it’s after Thanksgiving and you’ve added a few pounds or so to the scale, you might be trying to crash diet before all the Christmas pictures. Right? You know it’s wrong, but your panicking. “I don’t want to look bloated in that outfit!” So you’re just going to eat carrot sticks and coffee for the next three weeks? Ah hah. 1. Go with what you know. If you KNOW that eating half a pie over the course of a weekend isn’t good for you, DON’T DO IT! If you mow through a bag of chips and dip during a movie marathon at home, DON’T BUY THAT CRAP! If you panic on your way home from work because you’re “starving” and you can’t think of anything to eat at home so you pull through the nearest drive through, EAT SOMETHING BEFORE YOU GET IN THE CAR TO DRIVE HOME! And yes, I’m guilty of all of these (and more). If you’re really serious about doing something about your eating habits then start here. 2. Holiday parties don’t have to be a sabotage. If you’re bad about making decent food choices for yourself at parties, make a list of things you can and cannot eat. “What? Limit myself? But I DESERVE IT! !” No you don’t. You don’t deserve anything. Maybe it’s not the parties sabotaging you. Maybe . . . .it’s you! Be honest with yourself. Realize that you gained 5 pounds in one night because you tore through the entire cheese platter (Wisconsin thanks you), downed three or four bottles of wine (California, Oregon and Washington thank you), then proceeded to stick your head under the chocolate fountain until you passed out (no one thanks you for that little episode)! So yeah. You need to put limitations on your eating until you feel confident to look at the buffet spread and recognize what’s good and what’s not. You don’t have to announce it to anyone or be obnoxious about it, but do not deviate from the list. You want wine? Fine, just limit it to one or two glasses (not bottles you lush!). A cookie? No problem. Just stop eating when you get to your fingertips (and don’t go back for more)! 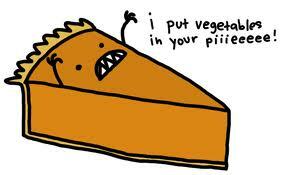 Go visit that lonely veggie platter that everyone is avoiding like the PLAGUE! And don’t forget your protein. Protein keeps you feeling fuller for much longer. 3. So what’s on that list? Easy. Protein, carbohydrates and fats. That’s it? Yep. But remember, this is NOT a green light to dive into the cheesy potatoes or take the leftover cookies home because the host “made you”! Find three options of protein, three options of carbohydrates and three options of fats (which might be incorporated into either the carbs or the protein). So my list might look like this: PROTEIN: 3 oz of beef tenderloin OR 1 oz of shrimp and 2 oz of beef tenderloin OR 3 oz of cheese. CARBOHYDRATE: 2 glasses of wine and 2 cups of raw veggies OR 1 glass of wine and a side salad and 1 cup of roasted asparagus OR three glasses of wine. FAT: one cookie or one piece of fudge or it was already incorporated in a sauce for the protein. 4. Stop eating all that processed crap while you’re at it! Don’t reach for the processed box of goo that reads, “just add water for a delicious meal” and expect your body to thank you for it. As a matter of fact, pretend that stuff doesn’t exist, grab some chicken or beef, throw some wine and garlic with it in the crock pot, make a big bowl of salad for the week and have at it! 5. Nervous eater? Grab water bottles (or glasses) and take a swig every time you would otherwise take a bite of something. You might find yourself locating every bathroom in the building, but hey, who cares! Less time at the buffet!! Alright I’ll stop at five. Is this all there is? Nope. But I’ve learned from experience that it’s easier to actually TAKE ACTION when healthy eating options are devoured in small bites! And yes, the pun was intended. Enjoy the holiday season, and focus on something other than the buffets!